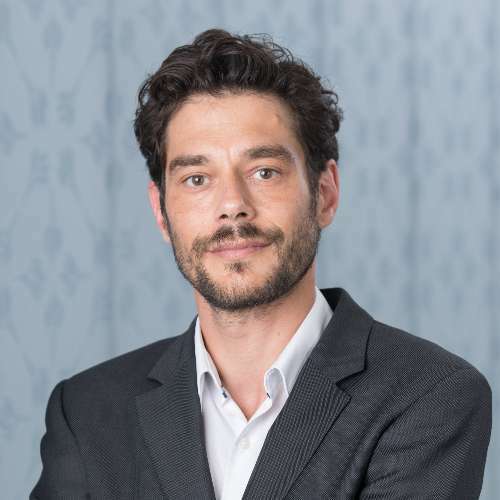 After completing his PhD at the University of Berne (Switzerland), Dr Jan Loop was awarded a Frances A. Yates long-term research fellowship at the Warburg Institute (London). In September 2012 he joined the School of History at the University of Kent as a Lecturer in Early Modern History. Jan is a founding member of the Centre for the History of Arabic Studies in Europe at the Warburg Institute, London, and he was a Principal Investigator, between 2013 and 2016, for the European-funded collaborative research project Encounters with the Orient in Early Modern European Scholarship (EOS). He is also a Senior Research Fellow at the New York University Abu Dhabi Institute. Jan's teaching and research interests are in the intellectual, religious and cultural history of Europe and the Near East, with a special focus on Western knowledge of the Arab, Ottoman and Persian world between 1450 and 1800. His first book, Auslegungskulturen (2003), is a comparative study of Christian and Islamic hermeneutic concepts in early modern times. His second book, a monograph on the Reformed Church historian and orientalist Johann Heinrich Hottinger (1620-1667) and the significance of Arabic and Islamic Studies in the 17th century, appeared in 2013 in the Oxford-Warburg series. He is currently working on a short monograph on Western European pilgrims to Mecca. Together with colleagues from Madrid, Nantes and Naples, Jan is leading the ERC Synergy Project The European Qur'an. Islamic Scripture in European Religion and Culture (1150-1850). The project is funded by €10m over six years (2019-2025). Jan Loop is the general editor of Brill's series 'History of Oriental Studies'. Together with Alastair Hamilton and Charles Burnett he published, in this series, a paper collection on The Teaching and Learning of Arabic in Early Modern Europe (Brill, 2017). In 2018 he edited  a special issue of the Journal of Qur’anic Studies on 'The Qur’an in Europe'. Loop, J. (2018). The Qur’an in Europe—The European Qur’an: An Introduction. Journal of Qur'anic Studies [Online] 20. Available at: http://dx.doi.org10.3366/jqs.2018.0348. This introductory article follows one of the most widely read and used Qur'an editions in Christian Europe, Theodor Bibliander's Machumetis Saracenorum principis, eiusque successorum vitae, ac doctrina, ipseque Alcoran, printed in Basel in 1543 and in a second edition in 1550. The article analyses some of the interpretations, appropriations, and polemical uses that this Qur'an version was exposed to during an age of confessional rivalry and political fragmentation. By doing so, the article tries to show the deep entanglement of the Qur'an in European religious and political discourses. It argues that with regard to the transformations that the Qur'an underwent in its transition from the Islamic-Arabic world to the various Latin and vernacular versions in Europe, as well as with regard to the ways that the Qur'an is read, used, and adapted in Christian and Jewish European contexts, we are confronted with a text genre sui generis–—the European Qur'an. Bevilacqua, A. and Loop, J. (2018). The Qur’an in Comparison and the Birth of ‘scriptures’. Journal of Qur'anic Studies [Online] 20. Available at: http://dx.doi.org/10.3366/jqs.2018.0356. Loop, J. (2015). Hiob Ludolf et le débat sur les chrétiens circoncis. XVIIe siècle [Online] 268:481-494. Available at: http://dx.doi.org/10.3917/dss.153.0481. Loop, J. (2012). Die Bedeutung arabischer Manuskripte in den konfessionellen Auseinandersetzungen des 17. Jahrhunderts: John Selden, Johann Heinrich Hottinger und Abraham Ecchellensis. Zeitsprünge. Forschungen zur Frühen Neuzeit 16:75-91. Loop, J. (2011). The Swiss Orientalist Johann Heinrich Hottinger and the Leiden Manuscript Collection. Omslag. Bulletin van de Universiteitsbibliotheek Leiden en het Scaliger Instituut 9:4-6. Loop, J. (2009). Das Problem der Deutung von Kulturen. Historische Anmerkungen zum sogenannten ‚Interpretive Turn’ in den Kulturwissenschaften. Kulturwissenschaften – Wissenschaft ohne Methode und Theorie?:1-22. « gilt Bachmann-Medick der amerikanische Ethnologe Clifford Geertz (1926-2006), der in verschiedenen Aufsätzen vor allem in den sechziger und siebziger Jahren des 20. Jahrhunderts eine Interpretive Theory of Culture zu begründen versuchte. Loop, J. (2009). Divine Poetry? Early Modern European Orientalists on the Beauty of the Koran. Church History and Religious Culture [Online] 89:455-488. Available at: http://dx.doi.org/10.1163/187124109X506213. This article discusses Western attitudes to the style of the Koran from the sixteenth to the late eighteenth century. The subject is of particular interest because the question of the Koran's aesthetic value is ultimately linked with the Islamic belief that the inimitable beauty of Muhammad's revelation is the very proof of its divine origin (i'j?z al-Qur'?n). Given the apologetic function of this doctrine in Islamic theology, many early modern European orientalists, from Theodor Bibliander to Ludovico Marracci, criticised the style. Some of the arguments presented were remarkably persistent and can be followed up to the present day. This article also shows, however, that since the end of the seventeenth century scholars such as Andreas Acoluthus, George Sale and Claude-Etienne Savary had developed a more favourable attitude to the Koranic style, while, at the end of the eighteenth century, the Prophet Muhammad was seen as an inspired genius and the Koran as an example of 'divine poetry'. Loop, J. (2008). Johann Heinrich Hottinger (1620–1667) and the 'Historia Orientalis’. Church History and Religious Culture [Online] 88:169-203. Available at: http://dx.doi.org/10.1163/187124108X354312. Generally neglected by scholars of the history of oriental studies, Johann Heinrich Hottinger's Historia Orientalis (1651, 2nd ed. 1660) is one of the most significant contributions to the history of Islam to have been published in the seventeenth century. This article analyses Hottinger's interest in Islam and in Arabic sources across the range of his writings and his correspondence, with a special focus on the Historia Orientalis. It discusses the philological and antiquarian standards by which he assessed Arab history and it describes the numerous Islamic manuscripts he exploited. It also examines the manifold ways in which Hottinger used the Koran and other Islamic sources to corroborate his apologetic Protestant interpretation of Church history. It thus sheds a light on the impact that a combination of confessional commitment, antiquarianism, and philology had on the rise of oriental studies in seventeenth-century Europe. Loop, J. (2006). Samuel Richardsons Romane als ‘heilige Texte? Die Clarissa-Übersetzung von Johann David Michaelis und ihre Hintergründe. Scientia Poetica. Yearbook for the History of Literature, Humanities and Sciences:189-223. Loop, J. (2013). Johann Heinrich Hottinger. Arabic and Islamic Studies in the Seventeenth Century. Oxford University Press. The Reformed Church historian and orientalist Johann Heinrich Hottinger (1620-1667) is a key figure in the history of Arabic and Islamic studies in early modern Europe. His life and his work have been almost completely neglected and there has never been a full-length study on Hottinger. This book presents a thorough documentation of Hottinger's Arabic and Islamic studies. Based on printed books and a great number of unpublished and hitherto unknown manuscripts, the book assesses his scholarship in the context of seventeenth-century oriental studies and confessional rivalries. The book contains a biographical account of Hottinger and inserts him into the Zurich tradition of oriental studies, which can be traced back to Theodor Bibliander and Konrad Pellikan in the sixteenth century. It gives an account of his years as a student of Jacobus Golius in Leiden, where Hottinger copied and collected an impressive number of Arabic manuscripts on which he later based his teaching and his publications. The book explores Hottinger's network in the Protestant Republic of Letters and it contains studies of his activities as a bibliographer of Arabic texts, as a teacher of the Arabic language, as a linguist who promoted a comparative approach to oriental languages, as a student of the history of Islam and as a Protestant who used his knowledge of Arabic and of Islam in the theological debates of the time. Loop, J. (2003). Auslegungskulturen. Grundlagen einer komparatistischen Beschreibung islamischer und christlicher Hermeneutiktraditionen. Peter Lang. Loop, J. (2017). 9 Arabic Poetry as Teaching Material in Early Modern Grammars and Textbook. in: Loop, J., Hamilton, A. and Burnett, C. eds. The Teaching and Learning of Arabic in Early Modern Europe. Brill, pp. 230-251. Available at: https://doi.org/10.1163/9789004338623_011. Loop, J. (2017). Johann Heinrich Hottinger. in: Thomas, D. and Chesworth, J. eds. Christian-Muslim Relations A Bibliographical History Volume 9. Western and Southern Europe (1600-1700). Brill. Available at: https://referenceworks.brillonline.com/browse/christian-muslim-relations-ii. Loop, J. (2017). Introduction. in: Loop, J., Alastair, H. and Charles, B. eds. The Teaching and Learning of Arabic in Early Modern Europe. Brill, pp. 1-12. Available at: https://doi.org/10.1163/9789004338623_002. Loop, J. (2012). Johann Heinrich Hottinger (1620-1667) und das ‘Studium Orientale’ and den Zürcher Schulen. in: Marti, H. ed. Reformierte Orthodoxie und Aufklärung. Die Zürcher Hohe Schule im 17. und 18. Jahrhundert. Böhlau Verlag. Loop, J. (2010). Mammons unheimliche Propheten. Die Figur des Spekulanten in der Literatur des späten 19. Jahrhunderts. in: Sorg, R. ed. Utopie und Apokalypse in der Moderne. Wilhelm Fink Verlag. Loop, J. (2009). "Der ewige Gotthelf". Werner Günthers Croce-Rezeption und ihre Bedeutung für die frühe Schweizer Gotthelf-Forschung. in: Gasser, P. and Loop, J. eds. Jeremias Gotthelf. Interdisziplinäre Zugänge zu seinem Werk. Peter Lang. Loop, J. (2009). Deismus in der Schweiz. Zürcher Reaktionen auf Marie Hubers ‚Lettres sur la religion essentielle à l’homme. in: Mahlmann-Bauer, B. and Lütteken, A. eds. Netzwerk der europäischen Aufklärung. Wallstein Verlag Gmbh, pp. 202-230. Loop, J. (2008). „Von dem Geschmack der morgenländischen Dichtkunst“. Orientalistik und Bibelexegese bei Huet, Michaelis und Herder. in: Weidner, D. ed. Johann Gottfried Herder: Vom Geist der Ebräischen Poesie. Kulturverlag Kadmos. Loop, J. (2008). Der Noah. Bodmers Bibelepos im wissenschafts- und wirkungsgeschichtlichen Kontext. in: Mahlmann, B. ed. Zürcher Aufklärung. Johann Jacob Bodmer und sein Kreis. Zürcher Taschenbuch. Loop, J. (2007). „Gott ist das Gegenteil von Rodin”. Walsers ‚Markt’ und das Phänomen der Vermischung’. in: Groddeck, W. and Sorg, R. eds. Robert Walsers ‚Ferne Nähe’. Neue Beiträge zur Forschung. Fink. Loop, J. (2007). „Viel leichter wäre es, Wolffs Werke in Verse zu übersetzen“. Aufgeklärte Debatten um eine poetische Übersetzung des Korans’. in: Akten des XI. Internationalen Germanistenkongresses Paris 2005 „Germanistik im Konflikt der Kulturen“. Lang. Loop, J. (2006). Timelessness. Early German Orientalism and its Concept of the ‚Orient’. in: Mina, N. and Görner, R. eds. Wenn die Rosenhimmel tanzen. Orientalische Motivik in der deutschsprachigen Literatur des 19. und 20. Jahrhunderts. Iudicium. Loop, J. (2005). Kontroverse Bemühungen um den Orient. Johann Jacob Reiske und die deutsche Orientalistik seiner Zeit. in: Ebert, H. -G. and Hanstein, T. eds. Johann Jacob Reiske. Persönlichkeit und Wirkung. Evangelische Verlagsanstalt. Loop, J. ed. (2018). The Qur'an in Western Europe. Edinburgh University Press. Loop, J., Hamilton, A. and Burnett, C. (2017). The Teaching and Learning of Arabic in Early Modern Europe. [Online]. Loop, J., Hamilton, A. and Burnett, C. eds. Brill. Available at: https://doi.org/10.1163/9789004338623. Gasser, P. and Loop, J. eds. (2009). Jeremias Gotthelf. Interdisziplinäre Zugänge zu seinem Werk. Peter Lang. Gisi, L., Loop, J. and Stolz, M. (2008). Literatur und Literaturwissenschaften auf dem Weg zu den neuen Medien. [Website]. Available at: http://www.germanistik.ch/buch.php?id=Literatur_Neue_Medien. Loop, J. (2017). Envoys of a Human God: The Jesuit Mission to Christian Ethiopia, 1557-1632. The Heythrop Journal [Online] 58:459-461. Available at: https://onlinelibrary.wiley.com/doi/epdf/10.1111/heyj.12510. Loop, J. (2014). "Die Entzauberung des Ostens". Zur Wahrnehmung und Darstellung des Orients bei Hermann Hesse, Armin T. Wegner und Annemarie Schwarzenbach. Germanistik in der Schweiz [Online]:130-131. Available at: https://www.germanistik.ch/publikation.php?id=Rez_Die_Entzauberung_des_Ostens. Loop, J. (2010). Hamid Tafazoli: Der deutsche Persien-Diskurs. Zur Verwissenschaftlichung und Literarisierung des Persien-Bildes im deutschen Schrifttum. Arbitrium [Online] 27:298-302. Available at: http://dx.doi.org/10.1515/arbi.2009.097. Loop, J. (2008). Andrea Polaschegg: Der andere Orientalismus. Regeln deutsch-morgenländischer Imagination im 19. Jahrhundert. Arbitrium [Online] 25:219-223. Available at: http://dx.doi.org/10.1515/ARBI.2007.219. Loop, J. (2006). Hanspeter Marti: Klosterkultur und Aufklärung in der Fürstabtei St. Gallen. Arbitrium [Online] 24:68-71. Available at: http://dx.doi.org/10.1515/ARBI.2006.68. Die Studie widmet sich der bisher von der Forschung kaum beachteten Frage der Rezeption aufklärerischen Gedankenguts in der Fürstabtei St. Gallen. Sie erhebt hierbei nicht den Anspruch einer umfassenden Aufarbeitung, sondern versteht sich als eine ideengeschichtlich orientierte „Vorstudie“, die sich der Fragestellung anhand zweier voneinander unabhängiger, punktueller Untersuchungen nähert. In einem ersten Teil analysiert Hanspeter Marti an zwei Fallbeispielen das „Verhältnis klösterlicher Hauptrepräsentanten zur Aufklärung“ (S. 10–71). Die entsprechenden Repräsentanten – Fürstabt Beda Angehrn (1767–1796) und der aufklärungskritische Offizial Iso Walser (1759–1785) einerseits (S. 12–17), der hohe weltliche Beamte in fürstäbtlichen Diensten und spätere Kantonsgründer Karl Müller-Friedberg (1782–1798) andererseits (S. 34–69) – sind so ausgewählt, daß an ihnen die gegenüber den Aufklärungspostulaten am stärksten divergierenden Grundpositionen in der zweiten Hälfte des 18. Jahrhunderts skizziert werden können. Der zweite und umfassende Teil nähert sich der Problemstellung durch eine Darstellung der Aspekte des Bucherwerbs am Ende des 18. Jahrhunderts unter dem letzten fürstäbtlichen Bibliothekar Johann Nepomuk Hauntinger (1780–1823) (S. 74–224). Loop, J. (2005). Florian Vetsch u. Boris Kerenski (Hg. ): Tanger Telegramm. Reise durch die Literaturen einer legendären marokkanischen Stadt. Der kleine Bund [Online] 12. Available at: http://www.derbund.ch/derkleinebund/. Loop, J. (2005). Sandra Pott: Reformierte Morallehren und deutsche Literatur von Jean Barbeyrac bis Christoph Martin Wieland. Arbitrium [Online] 22:307-309. Available at: http://dx.doi.org/10.1515/ARBI.2004.307. In der zu besprechenden Studie verfolgt Sandra Pott die sehr allgemein gehaltene Zielsetzung, „das Verhältnis reformierter Morallehren zur deutschen Literatur im achtzehnten Jahrhundert“ als eine „Einflußgeschichte von ‚morale‘, Naturrecht, Moralphilosophie und Literatur“ nachzuzeichnen (S. 6) und damit „[z]ur denk- und literaturgeschichtlichen Erschließung der Schriften (französisch-)reformierter Denker“ (S. 8) beizutragen. Auf einen Zeitraum von fast hundert Jahren gerichtet, setzt die Studie bei der Untersuchung naturrechtlich orientierter Morallehren französischer Reformierter an, die nach der Revokation des Ediktes von Nantes 1685 aus Frankreich flüchteten und sich vornehmlich in der Westschweiz, Deutschland und Holland niederließen. Loop, J. (2004). Joseph Wiesehöfer / Stephan Conermann (Ed. ): Carsten Niebuhr (1733-1815) und seine Zeit. Beiträge eines interdisziplinären Symposiums vom 7. – 10. Oktober 1999 in Eutin. Cardanus. Jahrbuch für Wissenschaftsgeschichte 4:123-127. Loop, J. et al. eds. (2018). Johann Ludwig Burckhardt alias Scheikh Ibrahim. Entdeckungen im Orient um 1800 - Discoveries in the Orient around 1800. Basel: Christoph Merian Verlag. Loop, J. (2018). Maskerade in der Wüste? Sheikh Ibrahims Reisemethode im Kontext seiner Zeit. in: Loop, J. et al. eds. Johann Ludwig Burckhardt alias Scheikh Ibrahim. Entdeckungen im Orient um 1800 - Discoveries in the Orient around 1800. Basel: Christoph Merian Verlag. Loop, J. (2017). Language of Paradise: Protestant Oriental Scholarship and the Discovery of Arabic Poetry. in: Levitin, D. and Hardy, N. eds. Faith and History: Confessionalisation and Erudition in Early Modern Europe. Oxford University Press. This essay discusses the discovery of Arabic poetry in Western Europe in the context of Protestant Arabic studies of the seventeenth and early eighteenth centuries. The piece centres on the work of the Dutch Orientalist Albert Schultens (1686–1750). His interest in Arabic poetry was driven by the idea that it preserves some of the characteristics of the primeval language and that it can help us understand the original meaning of the Hebrew texts of the Bible. The essay argues that in spite of its shortcomings, Schultens’ work is a significant moment in the history of oriental studies. It stimulated an entire generation of young scholars in Protestant Northern Europe; and his comparative study of Semitic languages, his concepts of the primeval language and its transmission as well as his great interest in the poetry of the East still resonate in early Romantic approaches to oriental poetry.